that is easy to assemble. FEATUERS: Plane has printed wing, tail and canopy surfaces. Easy to loop, soar, glide, and dive. Planes can soar over 25 feet. 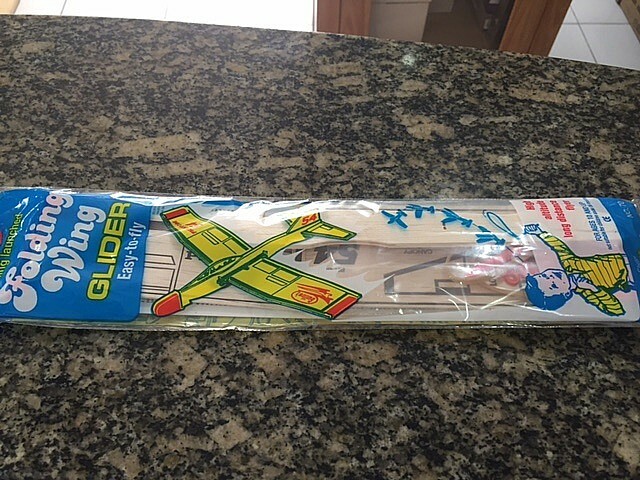 These are "rubber band" powered planes. One green plastic nose gear with built in prop. One set of wire landing gear with green wheels. One 15-1/2" red paper tail streamer. SPECS: One piece wing with 12" wing span, wing has built in dihedral. REQUIRES: No glue required, these are a slot and tab type construction.